Want a preview of the latest publication? It’s easy with our low-res version linked above. Drop by anytime to check out your ad placement in this week’s edition. 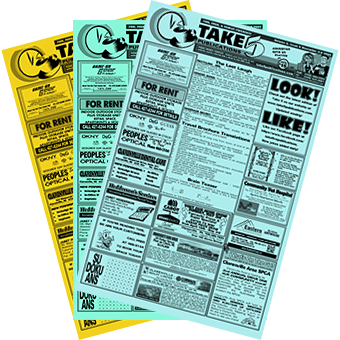 Take 5’s weekly edition is always available online for you to browse at your leisure. 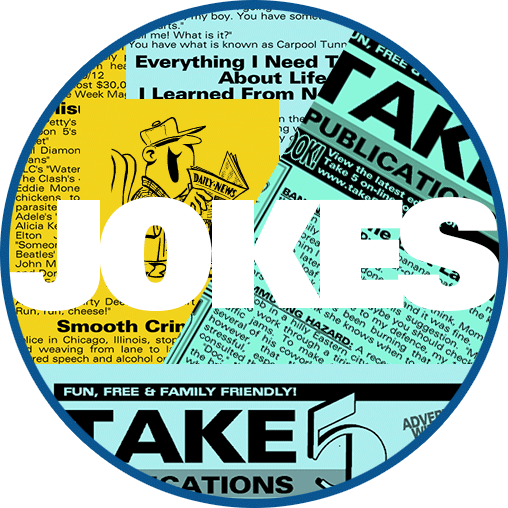 please see our Joke & Article Archive.